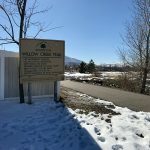 The Willow Creek Trail is a fun trail for a short bike ride, a walk, or a meander. 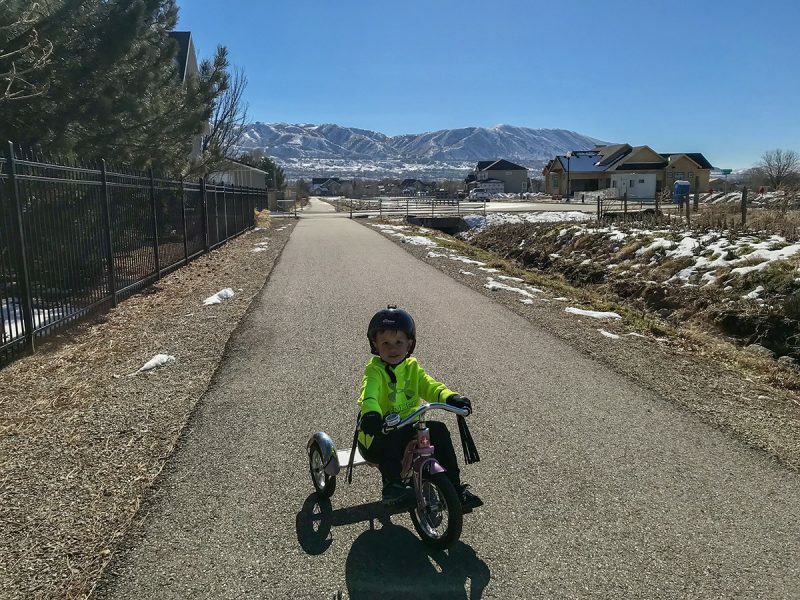 It’s great for littles because it’s all flat and paved. It’s also stroller and wheelchair friendly. 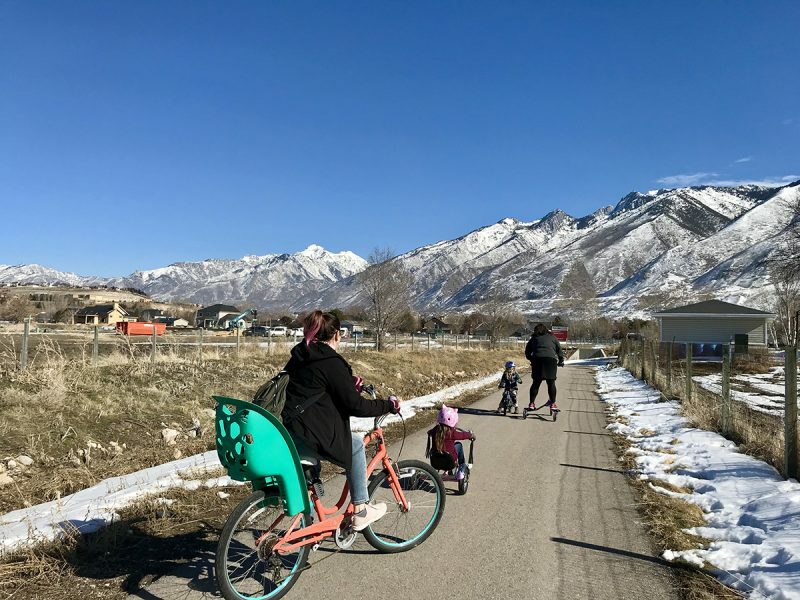 It starts at the far end of Draper City Park (by the baseball fields) and winds between farms and residential neighborhoods, skirting Willow Creek, and comes to an end at Corner Canyon High School. It does cross a couple of residential streets (some don’t even have houses on them yet! ), but it sees very little traffic otherwise. There is no shade on this trail, so it will likely be very hot in the summer, not recommended unless you’re walking early in the morning or late in the evening. This trail could be fun for a nighttime walk, especially during a full moon. 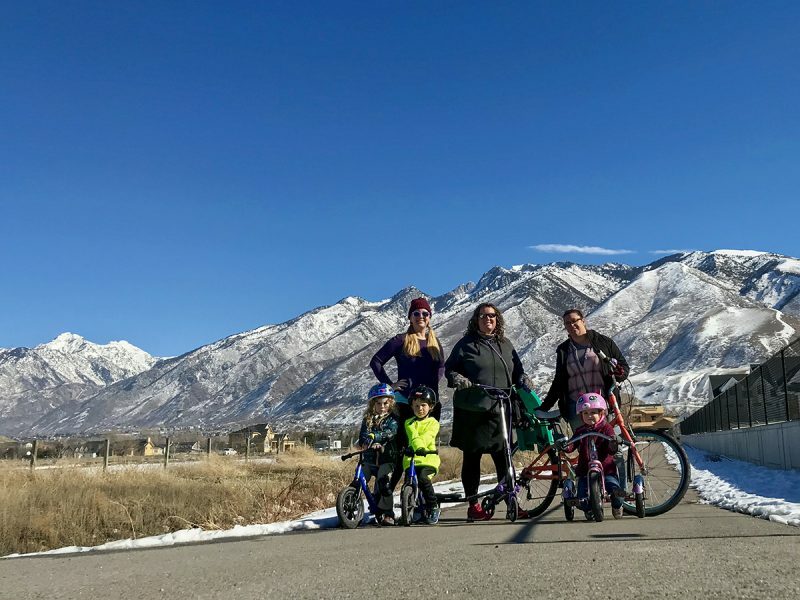 In the winter it can be fantastic because the City of Draper often plows its paved trails. There is restrooms, a water fountain, and a playground at Draper City Park. Occasionally the City of Draper closes the restrooms if freezing temperatures are forecasted. Flat and paved, wide enough for bikes, strollers, wheelchairs, scooters, and walking. There is plenty of parking at Draper City Park. From I-15, take the exit for 123oo S in Draper and head east, toward the Wasatch Mountains. 12300 S will turn into Draper Parkway. Turn right onto 1300 E. At the roundabout, take the 2nd exit to stay on 1300 E. You’ll cross over some railroad tracks that are no longer in use and then turn right into the driveways that’s right after the railroad tracks. 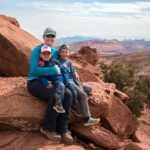 There will be a small parking lot on the left, but the best parking for this trail will be to drive further, past the pavilion, and park closer to the big playground. The trailhead is at a far corner of the park, by the baseball fields.